Gifted and Talented students, as well as on-grade students with ADHD, need support at their present level of executive functioning. Keep in mind that the ADHD brain can be developing at least 30% behind the non-ADHD brain, according to neuropsychologist Dr. Russell Barkley, Ph.D. and leading expert in Executive Functioning. “Students with dual exceptionality of being both gifted, and ADHD, often means that such children are not recognized as having either exceptionality and thus, their needs for an appropriate education are not met.”, (Lovecky, 2004). So how can we go about supporting these students? To start, provide support in school by way of accommodations, at the child’s emotional age. Students with lower emotional ages cannot always do grade level LENGTH assignments. This can be due to difficulty with attention, inhibition, perseverance, or in other words, all of the executive functions. 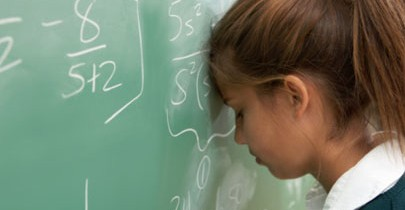 Gifted learners may be able to compensate for ADHD/EF deficits but only until a point. That point may not come before graduation from high school, but at some point, it will. One thing that should not be done is to drop the GT/ADHD learner down a level thinking it will solve the ADHD difficulties. A common misconception about GT/ADHD students in an above-grade-level class is that they do not need support or students in an above-grade-level class should be able to initiate on their own. This is not the case. Gifted children with ADHD may need acceleration/differentiation at the same time that they need to learn self-regulation skills that will support the higher level of functioning required. Gifted children with ADHD will need academic programs that allow them to go ahead in areas of strength while building on weaker areas. They may need to be specifically taught study and organizational skills, in the context of higher level work, that gifted peers acquire without difficulty. This means that accommodations are person specific, not age or grade specific. If a high school student misses writing down his homework, he may need reminders or check-ins, while a gifted learner may not need to find 7 articles to support her claim when she can find 3 articles that produce the same amount of evidence, thus allowing her attention to be focused on the next step of the research. “Teach executive functioning skills, which if inadequately developed, cause difficulties in production,” states George McCloskey, Ph.D. This is why it is important to remember that compassion and willingness of others to accommodate are vital to the success of these students, even at the G/T level. They may look like they have it all together because they are cognitively advanced, but they are still kids with developing executive functions. Let’s meet them where they are.